As his sedan turns a bend, Arindam begins to feel uneasy. Seated next to him is his childhood friend Biresh. Driving some distance more, Biresh asks Arindam to stop the car a few yards away from a motley crowd of miserable looking men. By now Arindam is largely certain why his friend, a trade union leader, had brought him here. Biresh asks Arindam to get down from the car and speak to the striking workers to boost their morale. Arindam, now a reigning superstar of Bengali cinema, bluntly refuses. His stardom doesn’t allow him to mix with commoners. He offers money under alias to Biresh who nods in disapproval. As Arindam starts his car to depart, Biresh says he will call him again if required. Driving back home, Arindam realises that it will never happen. 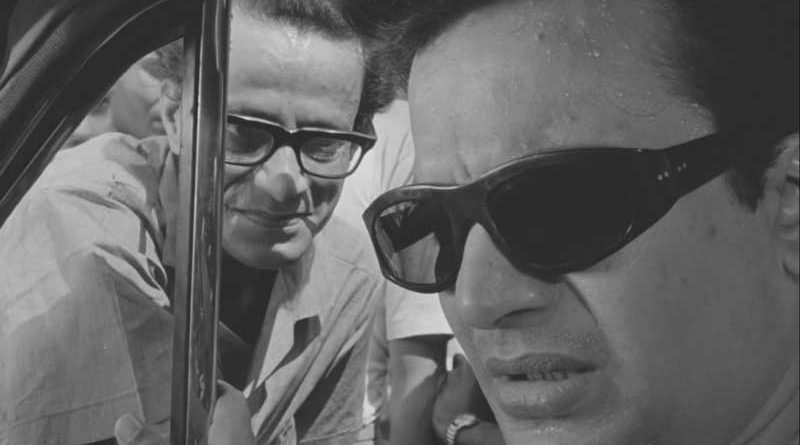 Released in 1966, ‘Nayak’ was a career defining performance of Uttam Kumar, the undisputed superstar of Bengali cinema. Directed by Satyajit Ray, Uttam brilliantly portrayed the deep-rooted insecurities and the void in the life of a hugely successful actor. Circa 1975, and the scene between Arindam and Biresh turned out to be a reality for Uttam Kumar. It is widely believed that while taking an early morning stroll down the Maidan on 5 August, a routine that Uttam would follow every day, he was an eyewitness to the encounter killing of poet and Naxal leader Saroj Dutta. 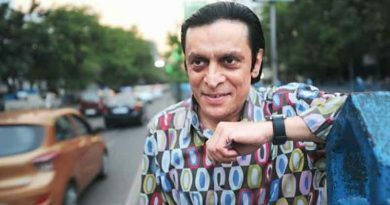 The incident left Uttam Kumar traumatised and he even left the city for two months. Naxal activists criticised Uttam for being an ‘escapist’. It was no secret that political parties always wanted to cash in on Uttam Kumar’s unmatched popularity. But he consciously stayed away from active politics and never showed any interest to join any party. While it is widely believed that Uttam Kumar was a Congress sympathiser, he never supported the party’s polices in entirety. The Naxal leader’s killing seemed to have upset Uttam. It was a turbulent time in West Bengal politics and extra-judicial killings were rampant. The actor’s star status may have prevented him to talk about the incident. Witnessing a killing is no mean event and filmmaker Tapan Sinha brilliantly portrayed it in the critically acclaimed Atanka where a humble school teacher (Soumitra Chatterjee) is the eyewitness to a gruesome murder by one of his students. The stone cold warning by the student, “Mastermoshai, aapni kintu kichhui dekhenni” (Sir, you have seen nothing), has since become part of film folklore. It is said that Uttam Kumar narrated the incident in an inebriated state much later to some of his close friends. The incident form the backdrop of the Dibyendu Palit novel Sahajoddha and 1994 Bengali film Sopan. 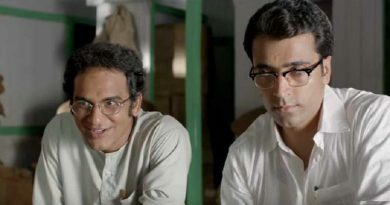 Byomkesh Film Series to End? 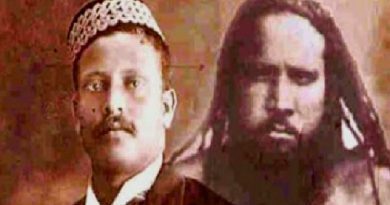 সন্ন্যাসী রাজা, নাকি রাজকীয় প্রতারক? September 15, 2018 Swati Comments Off on সন্ন্যাসী রাজা, নাকি রাজকীয় প্রতারক?